Think Like a UX Researcher will challenge your preconceptions about user experience (UX) research and encourage you to think beyond the obvious. You’ll discover how to plan and conduct UX research, analyze data, persuade teams to take action on the results and build a career in UX. The book will help you take a more strategic view of product design so you can focus on optimizing the user’s experience. UX Researchers, Designers, Project Managers, Scrum Masters, Business Analysts and Marketing Managers will find tools, inspiration and ideas to rejuvenate their thinking, inspire their team and improve their craft. A dive-in-anywhere book that offers practical advice and topical examples. Thought triggers, exercises and scenarios to test your knowledge of UX research. Workshop ideas to build a development team’s UX maturity. 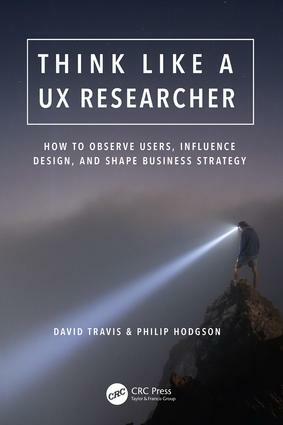 War stories from seasoned researchers to show you how UX research methods can be tailored to your own organization.